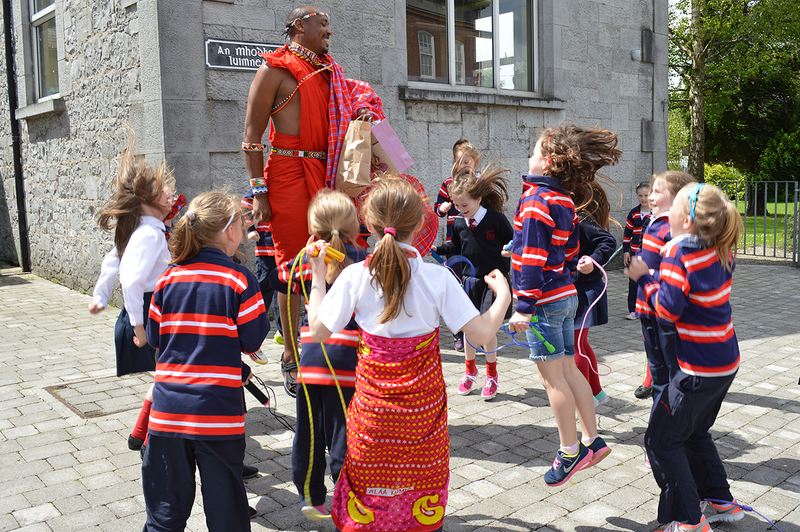 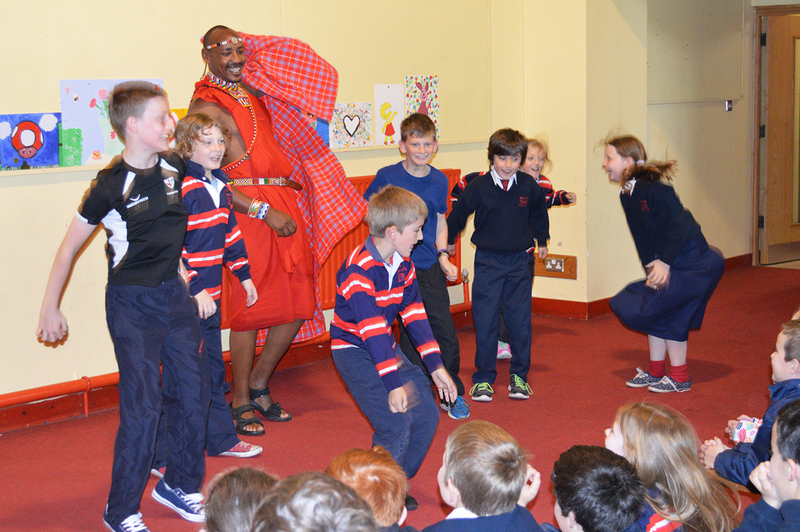 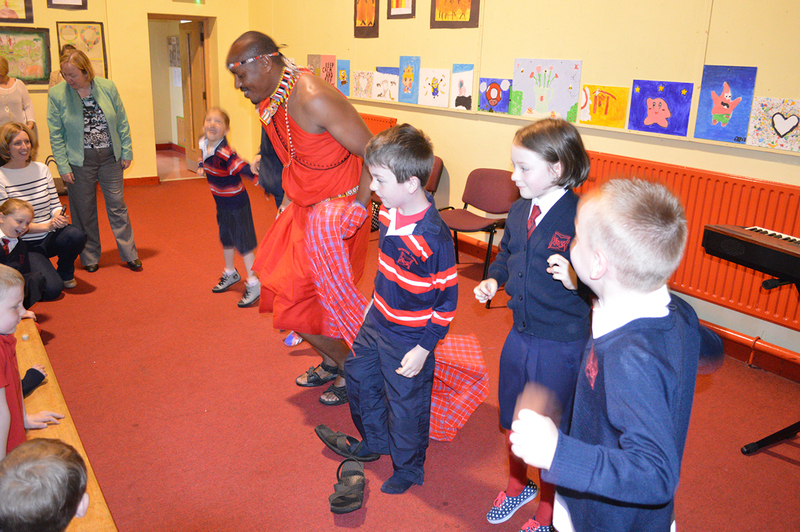 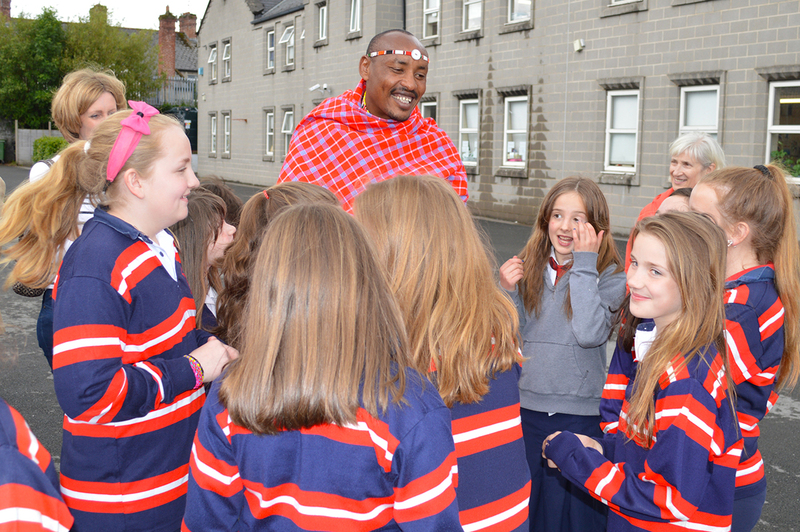 Lá ceiliúradh sa Mhodhscoil le Gaiscíoch Maasai Tadhg Ol Mosiany a tháinig ar cuairt ó Northern Rift Valley i gCéinia, mar chuid den tionscnamh Become a Friend. 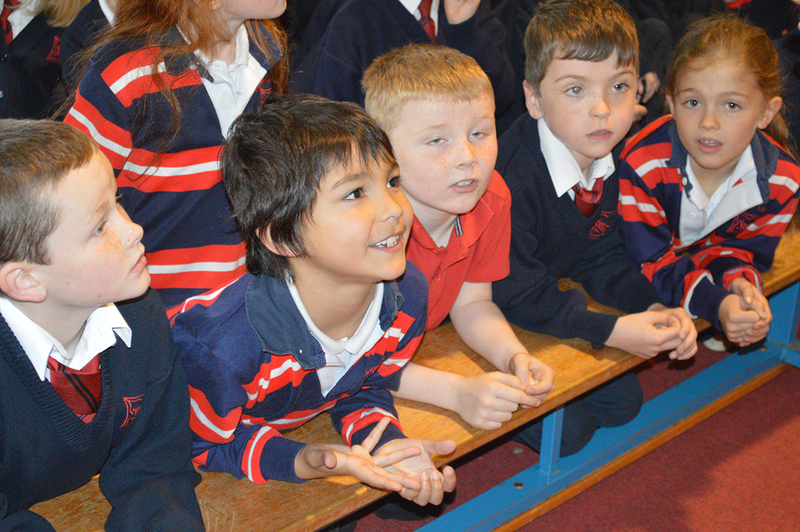 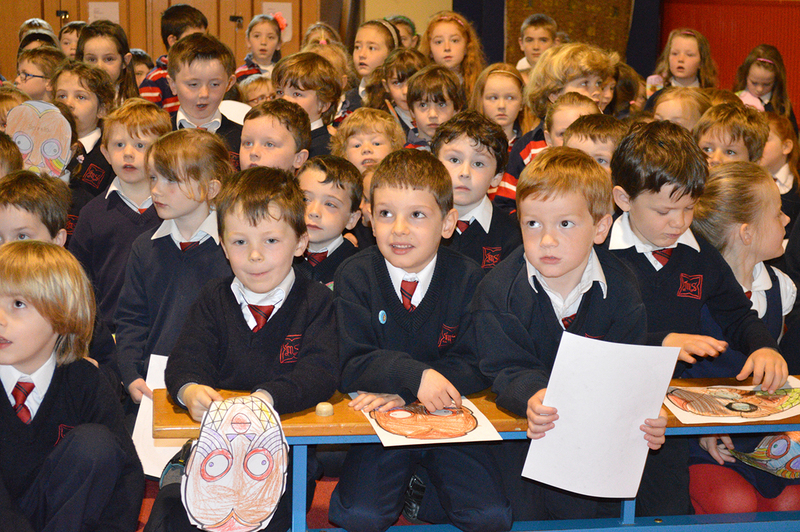 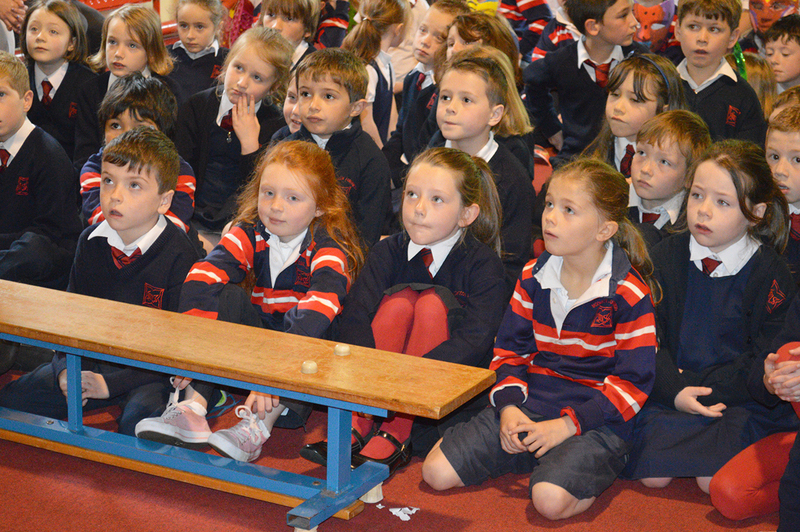 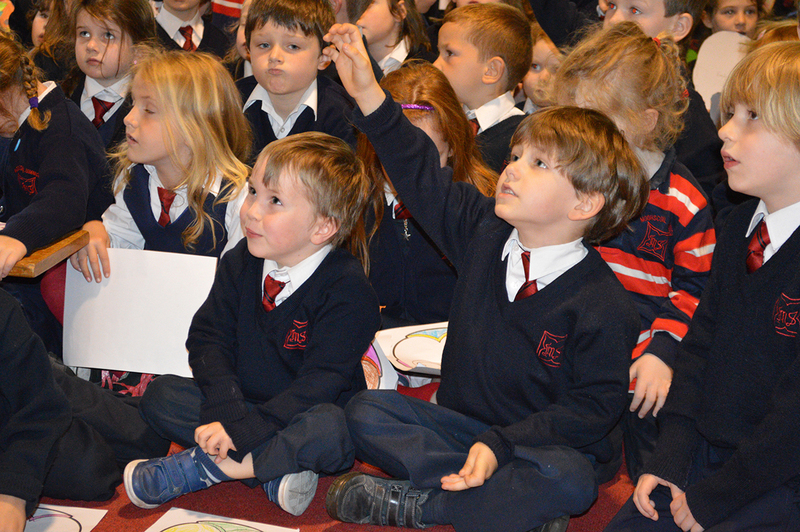 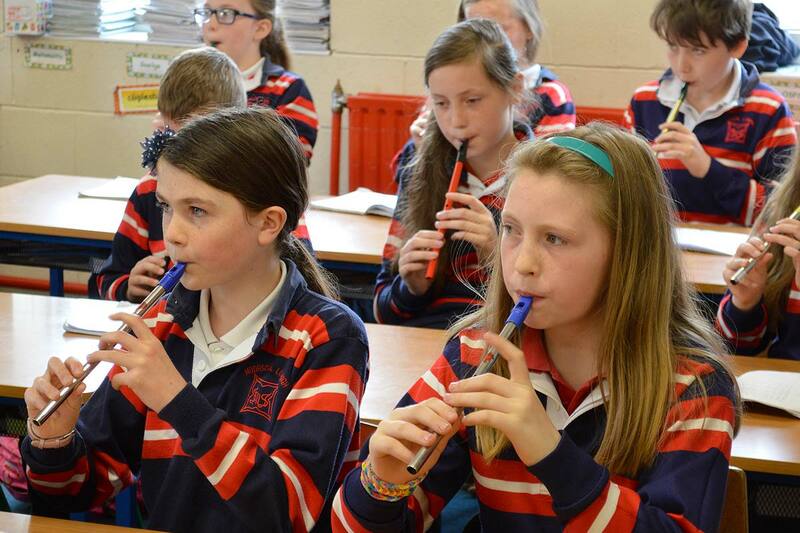 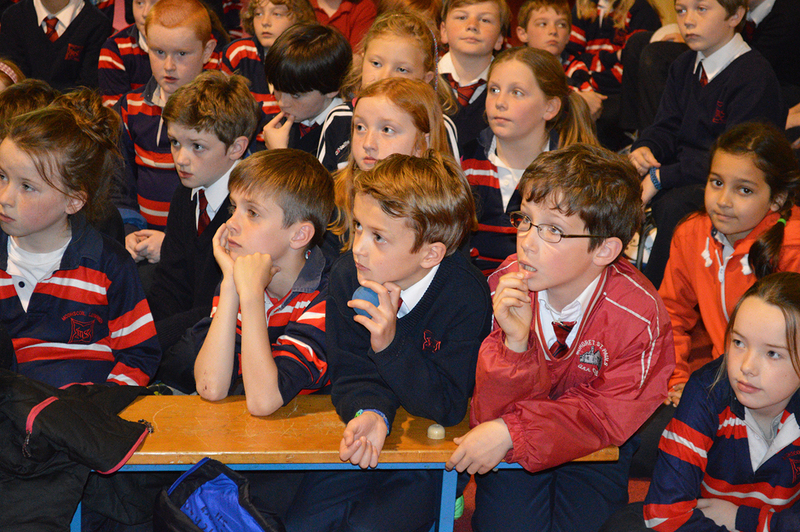 Tháinig sé anseo chun buíochas a ghabháil linn as ucht caidreamh a dhéanamh le scoil náisiúnta ina phobal féin agus chun a insint dúinn faoin saol a bhíonn ag páistí a thíre ag fás aníos mar Ghaiscigh Maasai. 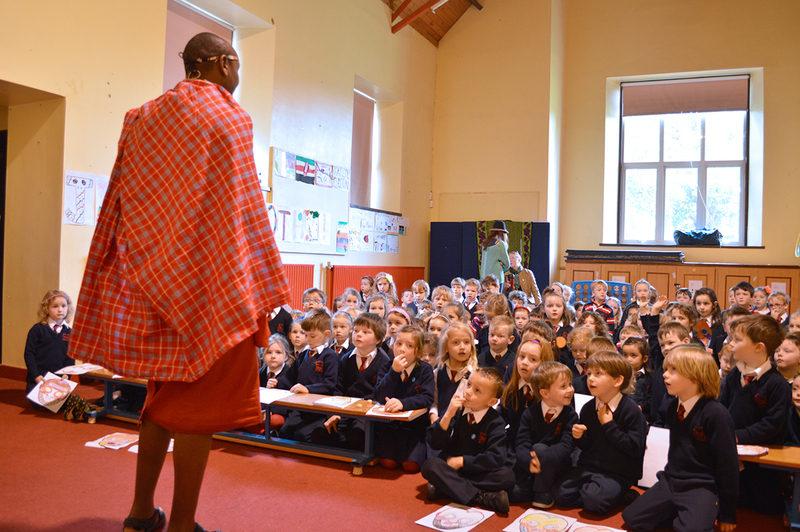 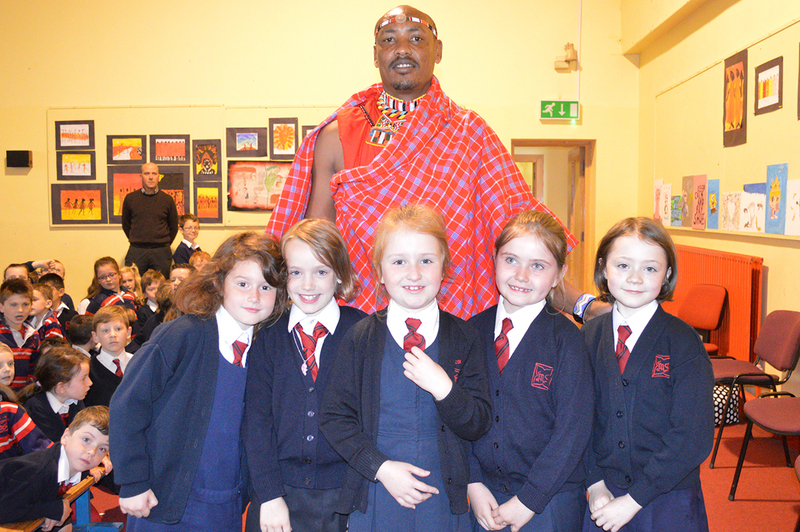 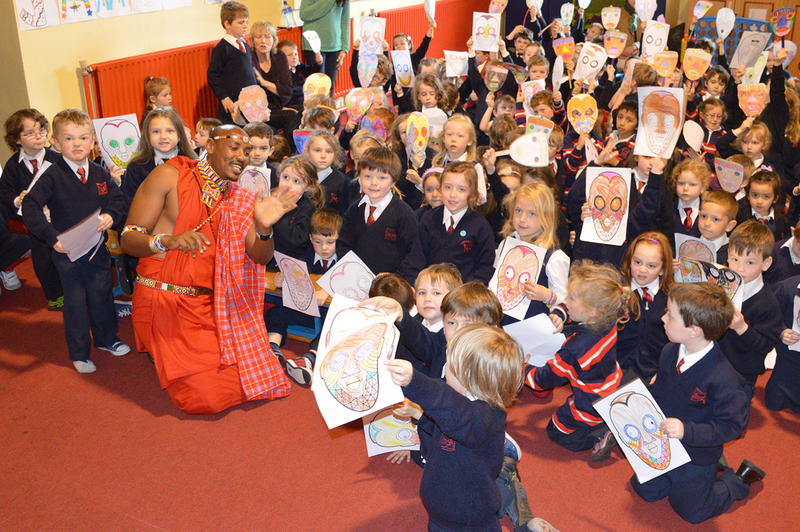 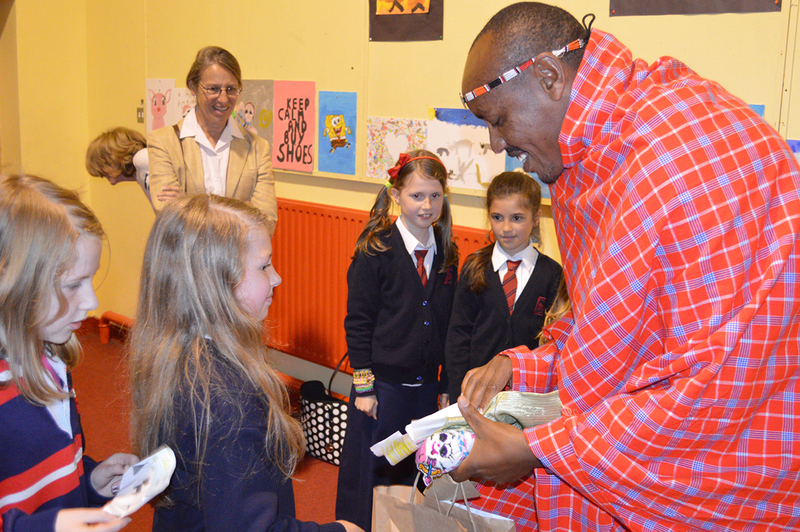 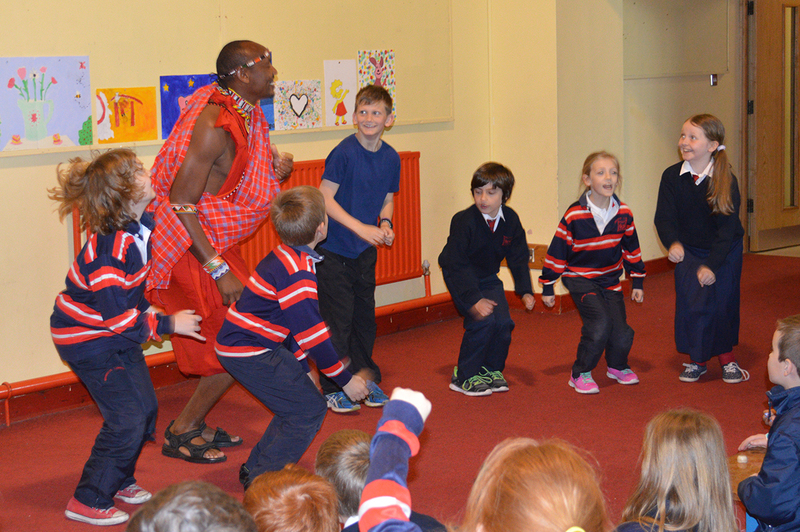 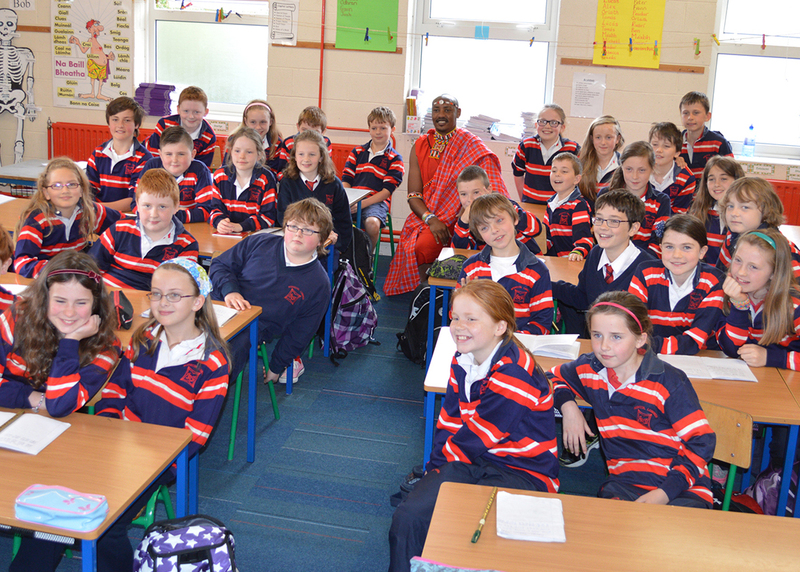 A day of celebration at An Mhodhscoil with Maasai Warrior Timothy Ol Mosiany visited from the Northern Rift Valley Kenya, as part of the Become A Friend project, to thank the school in person for linking with a primary school in his community and to tell the children what life is like growing up as a Maasai Warrior.